Knack looks, nice…I suppose. I always frown and grimace at "next-gen" games that pack color palettes of grey and brown, and I applaud new efforts for bringing color and vibrancy to gaming. In that regard, Knack is a winner. I liked the look of Knack back at its unveiling. It didn't look like the most inventive game in terms of combat and play, but Knack seemed bright enough to be enjoyable. It doesn't exactly scream "next-gen graphical glory," but Knack is bright, cheery, and delivers a strong art style that many will really, truly enjoy. 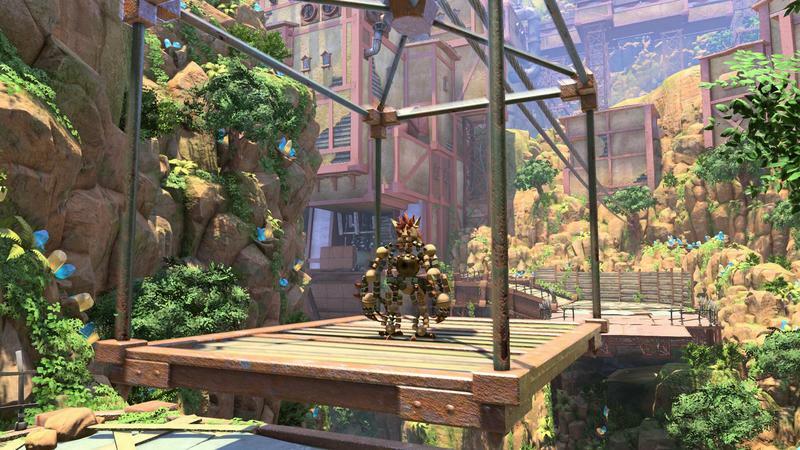 And if games were about nothing but looks and style, Knack would be great. Too bad they're not, and too bad I had to slog through a chunk of Knack to bring you this review. I hope you like doing the same thing over and over and over again when you sit down to play video games. That's what you'll find waiting for you when you boot up Knack. It starts out interestingly enough. You're a creature made up of floating relics, the same stones that power this fictional society. As you find more relics, you add them to your body in order to grow bigger, get stronger and deal out more devastating damage. In the purest sense of mechanics, Knack is a throwback to classic 3D action platforming. It has a Crash, Sly and Ratchet vibe to its play, and that seems truly delightful. And, for the first chapter, it really is. Punching enemies, dealing out specials and dodging attacks is fun for a while. Then the game continues…and the punching continues…and the dodging continues. All that happens is Knack, that's the name of the creature, grows bigger or smaller and enemies find ways to get cheaper and cheaper. You'll punch, punch, punch, die, punch, die, punch, punch, die, die, punch, punch and die your way through the whole experience. If you can even make it that long. I haven't been this bored with a game in a very long time. In every definition of the word, for me, playing through Knack was an out-and-out slog. 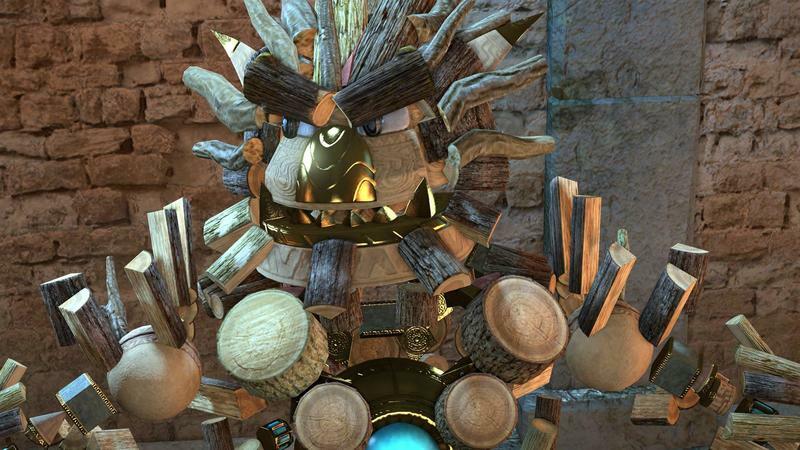 Aside from the art style, the characters in Knack are really all pretty great. There's an air of Saturday Morning Cartoon Show to the whole cast, complete with cheesy villains and cheap one-liners, but there was some actual love put into making the characters. The cutscenes, in turn, all play out fairly well. The interactions between characters is enough to keep you slogging through the campaign of the title long enough to eek some value out of your purchase. It's just that all of the stuff you do in between these cutscenes is never really fun. It's rote repetition, and the sheer volume of it is almost worse than its delivery. I'm all for a throwback to gaming's past, but Knack does it in such an uninteresting way that I hardly felt compelled to continue. They had good ideas going in, too. Knack can be upgraded by finding secret objects in the game (that amounts to, you guessed it, randomly punching walls). It's too bad that both the hunting and the rate of growth for these upgrades is slow and tiresome. There's also cooperative play here that could have been really great. But all it consists of is more punching, dodging and dying. "I couldn't get through it. I wound up frustrated, bored and tired far too quickly for my own liking." Knack isn't broken. It plays just fine. It has a storyline that runs along the campaign and hits quaint and cheesy notes at a regular interval. It delivers a nice art style and a taste of what's to come in terms of more cartoon-esque graphics on the PlayStation 4. For all of those reasons, Knack is playable. It starts, it plays, it's a game. I will be completely honest. I did not finish this game. These last few years have raised my standards for gaming immensely. During an exceptionally crowded holiday season, one brimming with awesome content, Knack stands out as particularly boring. I couldn't get through it. I wound up frustrated, bored and tired far too quickly for my own liking. After dumping around eight hours into the never-changing campaign, I gave up. For that reason, and perhaps it's the best evidence of the experience, I can't recommend Knack. Especially at $60. The PlayStation 4's lineup, much like the launch lineups of most systems, is missing that truly amazing game (though Resogun comes darn close), and Knack doesn't even come close to filling the gap. 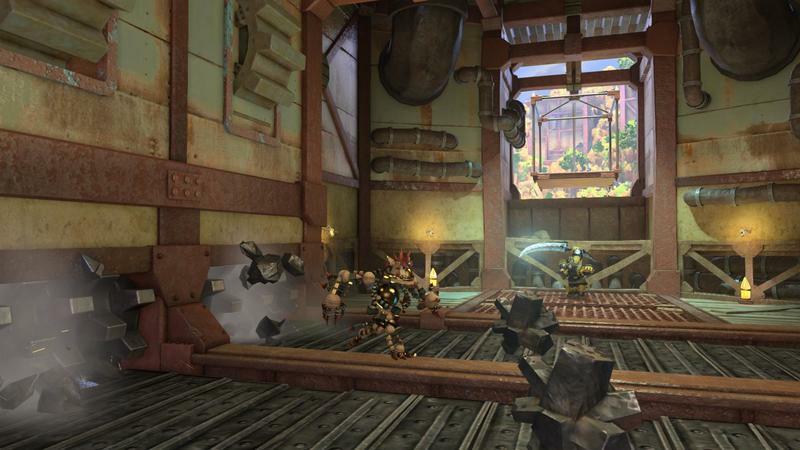 We purchased Knack for the PlayStation 4 with company funds. We did not complete the game, but we logged roughly 8 hours with it before finishing this review.